Whether the issue is marriage equality or critical protection from discrimination, Texas Senator Ted Cruz has consistently opposed equality for LGBT Americans. And he’s gone even further, attacking fellow Republicans for marching in pride parades, warning of the threat of “mandatory gay marriage” and calling 2016 the “religious liberty election.” He has vowed to make his opposition to LGBT equality a centerpiece of his presidential campaign, and he has thus far lived up to that promise. Marriage: As Solicitor General, Ted Cruz led the charge to deny Texas couples marriage equality. In the Senate, he has supported a constitutional amendment that would prevent the federal government from recognizing marriage equality and an amendment placing members of the Supreme Court up for election. He even said that Justice Anthony Kennedy should resign and that the Obergefell ruling threw the Supreme Court’s “very legitimacy into question.” He has said a ruling in favor of marriage equality was “fundamentally illegitimate.” Cruz has promised to campaign “front and center” on his opposition to marriage equality. 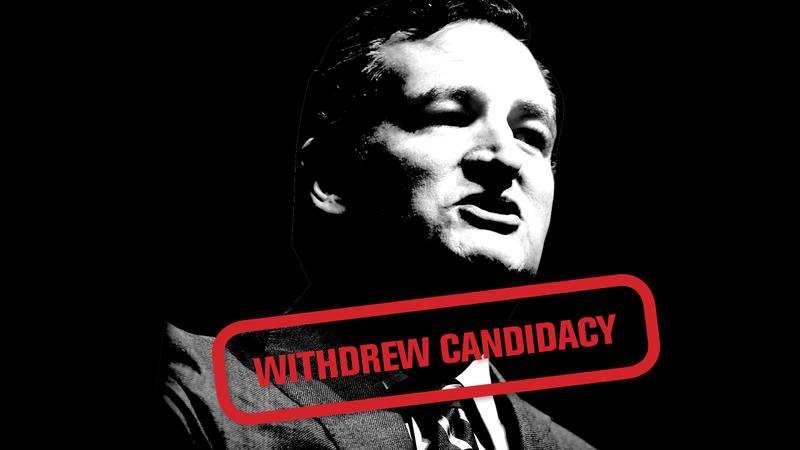 Discrimination: Cruz has consistently opposed granting critical nondiscrimination protections to LGBT Americans. Cruz has opposed both local ordinances that would have protected LGBT people in cities in Texas, and ENDA’s explicit federal workplace protections. Cruz has said “2016 will be the religious liberty election” and defended harmful discriminatory legislation in Indiana and Arkansas. Cruz stood behind Kentucky clerk Kim Davis, and said he would “absolutely” push for enactment of the First Amendment Defense Act (FADA) in his first 100 days in office. Conversion Therapy: Cruz has refused to speak out against “conversion therapy” that coerces minors into “treatment” that can lead to depression and suicide. He believes that being LGBT is a personal choice. Harmful Rhetoric: Cruz has no problem about using equality as a wedge issue against fellow Republicans – he’s attacked Republicans for appearing in pride parades, and having “New York values” such as supporting LGBT rights, and suggested that he believes being LGBT is a “choice.” He’s called letting kids use the bathroom that reflects their gender identity “lunacy”. Cruz has claimed that the Obergefell ruling would lead to “mandatory gay marriage.” He even bragged about intervening in a case to stop a civil union.